Environmental News Network - Will the early bird still get the worm? If you’ve ever planned a trip, especially one with multiple stop-overs, you’ve considered departure times, arrival times, lodging, meals, and weather conditions. 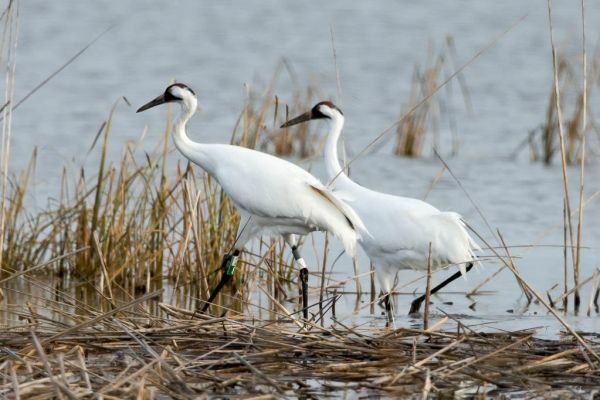 Migratory birds face similar decisions about when to depart for their summer breeding grounds: they must time their arrival to match the availability of food sources and suitable nesting habitat. The system of U.S. National Wildlife Refuges supports traveling birds by providing stopover sites and food along their migratory path. But, could changing habitat conditions affect the northward migration in spring? Food resources and nesting conditions are closely linked to the start of spring activity in plants, which the USGS-led USA National Phenology Network predicts with indices of Spring Leaf and Bloom. The indices estimate when the emergence of new leaves, known as leaf out, and bloom of early season plants occur each year, with data going back to the early 1900s. In a newly released study, a team of USGS, University of Arizona and USA National Phenology Network (USA-NPN) scientists puts the annual onset of spring over the last century in the context of National Wildlife Refuges and the four major migratory flyways of North America. They found that in recent decades, spring leaf out and bloom arrived extremely early at 49 percent of refuges. Also, the shift to earlier spring is not uniform across migratory flyways. In the Central, Mississippi, and Atlantic flyways, the rate of spring advance was greater at northern latitudes than southern latitudes.